The hottest original series and movies you won’t find anywhere else! *SHOWTIME®, THE MOVIE CHANNEL®, FLIX® and related marks are trademarks of Showtime Networks Inc., a CBS company. 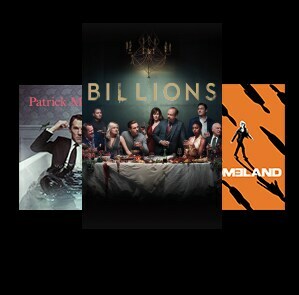 You must be a subscriber of SHOWTIME to receive SHOWTIME ON DEMAND® and SHOWTIME ANYTIME®. Shameless © Warner Bros. Entertainment Inc. All rights reserved. Billions, Ray Donovan and The Affair © Showtime Networks Inc. All rights reserved. Homeland © Twentieth Century Fox Film Corporation. All rights reserved.